THURSDAY, Feb. 28, 2019 (HealthDay News) — Your grandparents’ chronic aches and pains might best be eased with a little weed, a new study suggests. 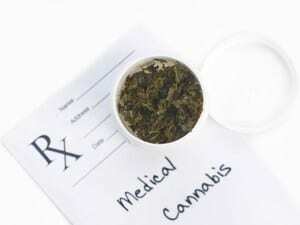 “Medical marijuana, in my opinion, is an excellent choice for patients with chronic disease, including chronic pain,” said senior researcher Dr. Laszlo Mechtler, medical director of the Dent Neurologic Institute in Amherst, N.Y. The study tracked 204 elderly patients who had been prescribed medical marijuana to deal with pain through New York state’s medical marijuana program, Mechtler said. Three-fourths of the people treated had been diagnosed with chronic pain, Mechtler said. Other conditions included cancer (6 percent), neuropathy (5 percent), multiple sclerosis (5 percent), epilepsy (3 percent) and Parkinson’s disease (2 percent). “In the midst of an opioid epidemic in this country, with 115 people dying every day, anything that can decrease the potential for opiate use is a win/win situation,” Mechtler said. “Nobody overdoses on medical marijuana. “This study really hit home with a lot of what I was seeing in the other survey data that’s been put out there regarding cannabis and chronic pain,” she said. “Honestly, it’s going to have to be federally legal before we can do the robust studies that are required of medicine in general,” she said. Currently, medical marijuana is legal in about two-thirds of states.